So you want to start a blog? You might even want to make some money blogging, but you don’t know where to start. What are the basics of blogging? A passion for whatever you are cooking! A web server (or host) is simply a super fast computer designed to be really good at sending a website to your browser. When you go to google.com, your browser connects to a google server and asks for their website. Your browser will also send information like the words for your search. Google’s server will run the software that does the search and spit out the results in a format your browser can turn into a nice looking website. You could buy a server of your own–for a few thousand–plug it into a crazy fast internet connection, have backup generators so it never runs out of electricity, and hire a full time tech guy… or you can just rent some space from a hosting provider (like Sprout Studio). It’s the difference between building a parking lot for your food truck or renting a space. Be careful, with hosting you get what you pay for! If you are paying $5 a month for hosting, what kind of support do you think a company can really provide you for $5 a month? If you want quality and service, don’t skimp here. This server (your “parking spot”) will have an address (called an IP address). It will be something like “192.168.0.1” This is important for later. Most people are familiar with “.com” domains, but there are a lot of other possibilities now, since most of the good .com names are taken. However, you may still find a good one. I always recommend a .com if you can get one. You can use our domain search to see what is available. When you buy a domain, you register it (usually with your hosting company) as yours. The domain is important, because it tells people where your server is (its IP address). It can be complicated to configure a domain (point it to your server), but if you buy it from your hosting provider they should help you with that. You may hear about free and paid versions of WordPress. Basically, the software itself is free. Anyone can use it and run it on their own server. Basically, the paid version of WordPress is just hosting from the company that designed WordPress. The catch is that they really restrict what you can and can’t do. WordPress is not hard to install, but if you need help, let us know! WordPress comes out looking fairly decent, but you will want to stand out and communicate your personality and brand. That is where a theme comes in. This sits on top of WordPress and makes everything look good. There are a lot of free themes available. You can also buy some themes. However, if you really want to be different, you can have a designer make one for you. However, a custom website design may cost anywhere from a few hundred to a few thousand (depending on who does it and what features you want). The internet has over 1 Billion websites. Just let that sink in. 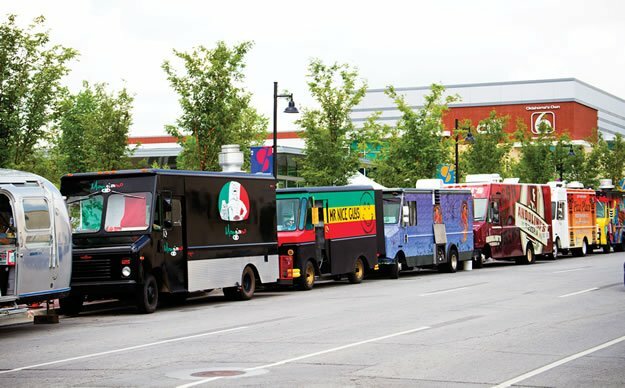 That means there are a lot of food trucks out there competing for attention. And people don’t go to a food truck if there isn’t anything there. You have to have a reason for people to visit. Some blogs started out as a personal journal, a way to share with family, or something else. Then other people found the content had value and shared it with others. The blog grows and next thing you know, 100K people are visiting your blog a month. Other bloggers start with the idea to write something specific. They have a certain theme or niche they want to share. Whatever it is, the key is providing value. This will bring people to your site and lead them to share it with others. When you get enough traffic to your site, you can start making money. There are many ways to do this: having ads, selling eBooks, etc. I wrote more in depth in Monetization For Blogs, the ABCs.